We don't care where it comes from, if you've got it you should be able to use it. 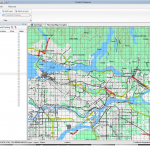 Many companies that sell general purpose mapping software are really in the business of selling you maps. They take data, often freely available, compose it into a map, and use that to sell you their software. Sometimes the maps are in special formats that are unusable in other software. Often these companies try to tie you to a subscription model, promising you yearly updates. 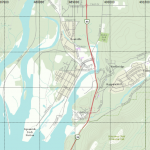 This may work for some people — the task of finding and compiling your own maps can be daunting. TrueNorth takes a different approach. We give you the tools to read and write as many data formats as possible, and you’re free to use whatever data you come across. Now, we’re not crazy. Nobody wants to start up some mapping software and be presented with a blank screen (although you can do that if you like). 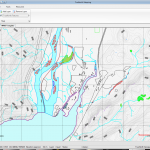 We do provide base map data for areas that we can find and compile the data for free, or low costs. We’re also in the process of building a community of like-minded individuals who want to share where to find this data, and how to use it. 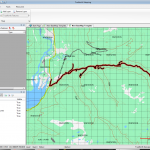 In the mean time, we’ve built TrueNorth to support many of the most popular GIS file formats, web service, and GPS standards out there, and are adding more every day. See the sidebar to the right for more information.